--- Display i resepsjonen på basen ..? Snapshot of NNSN signals; click to enlarge. Credits M.R./Norsar. Jan Mayen, station JNW/Liberg. Sensor vault 1 km away (connected by cable). GNSS antenna is installed temporarily. 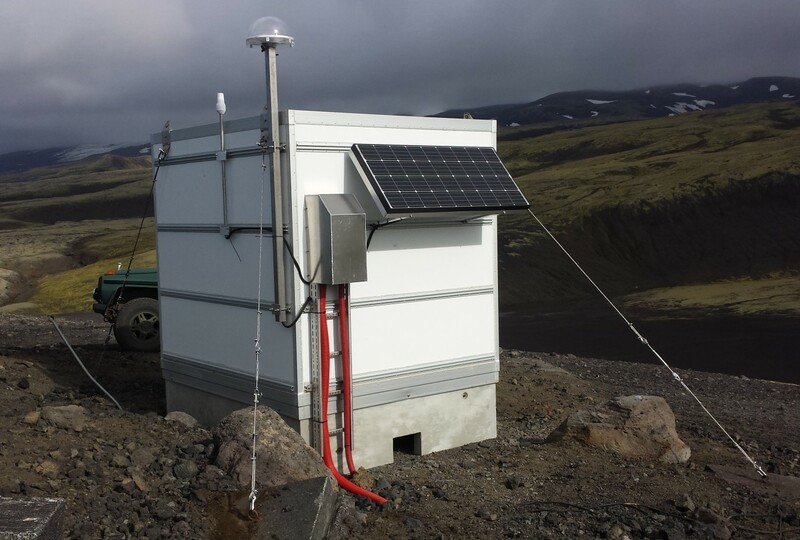 Click to visit Jan Mayen volcanic monitoring web page.